With its clubhouse facilities and extensive hospitality, Theydon Bois Golf Club is the ideal venue to host your society or corporate golf day or event. Situated in the beautiful village of Theydon Bois and only 2 miles from the M25, you would not believe the close proximity of central London while enjoying the spectacular views in this oasis of serenity. 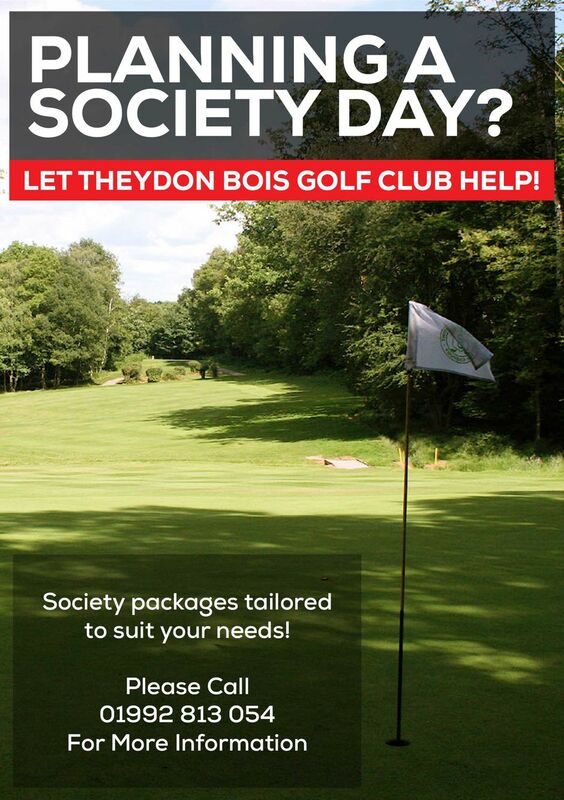 Theydon Bois Golf Club offers groups of all sizes a selection of Golf Day packages. Subject to your requirements, we are also able to offer a tailor-made service providing bespoke packages, catering from early morning until the end of your day. Furthermore, in addition to the dining options available within the clubhouse, clients can host a dinner at The Braid Room for smaller groups wishing to have a more private dining experience. Electric and pull Trolleys are available for hire. These cannot be pre booked and are subject to availability on the day.